In the foreground, the towns of Mutters and Natters. In the middle of the picture, the Bergisel with its ski jump tower. 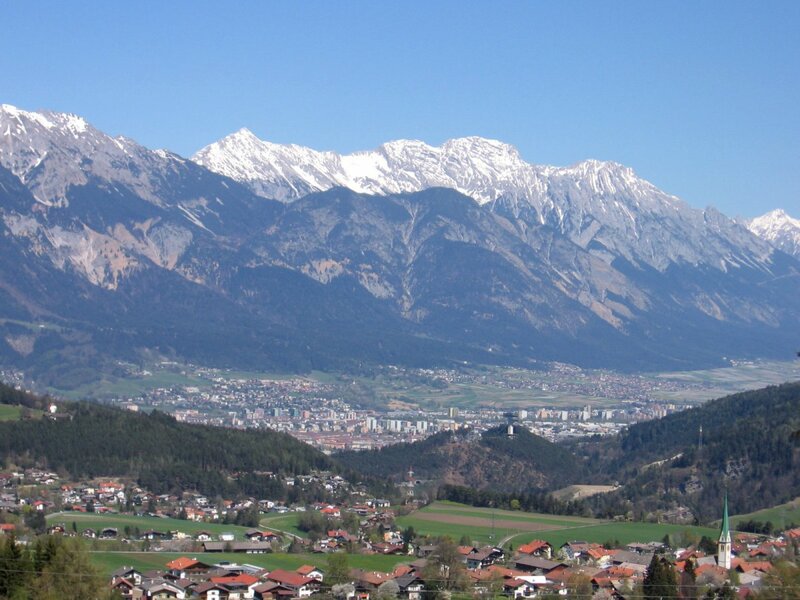 In the distance, Innsbruck lies at the bottom of the valley, with the Nordkette towering above.